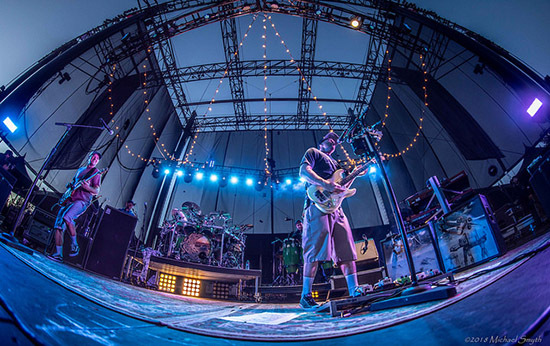 Slightly Stoopid rocks a sold-out Harveys Outdoor Arena, the first outdoor show of the season. 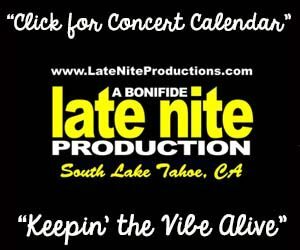 Slightly Stoopid, Stick Figure and Pepper kicked off the 2018 Lake Tahoe Summer Concert Series at Harveys with a blowout party that officially marked the start of the summer. OK, so summer doesn’t technically start until Thursday. 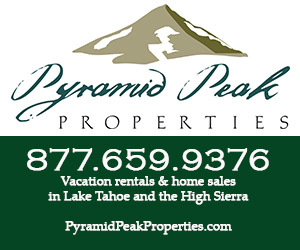 But in the hearts and minds of the people of Lake Tahoe, when it’s warm enough to start living in a tank top and flip-flops and sipping cold beer on the beach. 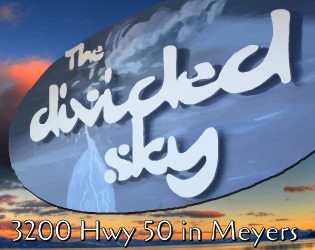 The previous couple of weeks had fluctuated in temperature with one or two cold snaps at night, but by Saturday the weather dial was firmly set to “summer,” with the sun out high and hot and an ever-present wind keeping it a manageable level. 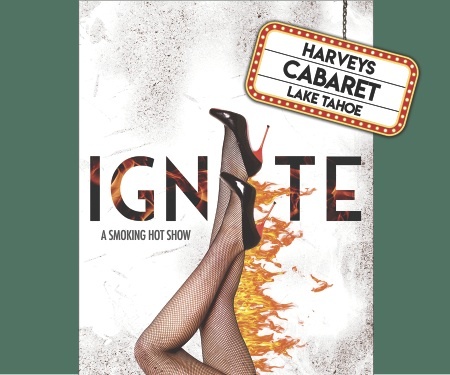 Cruising through Stateline at 5 p.m., you could feel the familiar buzz of anticipation for a great night of music at the Lake Tahoe Outdoor Arena at Harveys, the first one of the summer. Lake Parkway had cars stacked end-to-end along its whole length, with people congregating around dropped tailgates and fold-out chairs to share the love and take in the scene together. Little bands of partiers cruised through the casino parking lots trying to find friends, tickets or one more spot to chug their beers and toke up before going inside the arena. 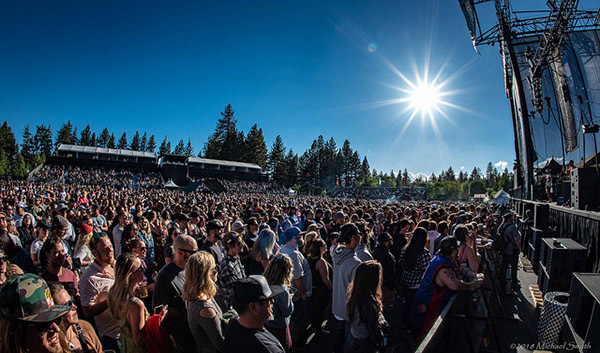 Venue booking agency Another Planet Entertainment — which also books The Greek Theater in Berkeley and Bill Graham Civic Auditorium in San Francisco, among others — couldn’t have picked a more stacked and Tahoe-certified lineup to usher in the start of the summer at the lake. 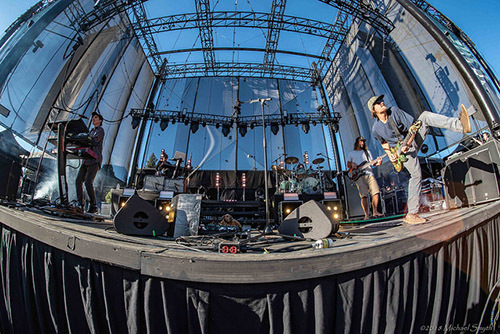 Slightly Stoopid are O.G’s in creating that iconic SoCal sound from the 1990s that ground-up ska, reggae, punk and hip-hop, rolled it up in heady vibes and smoked it down with a pleased grin. 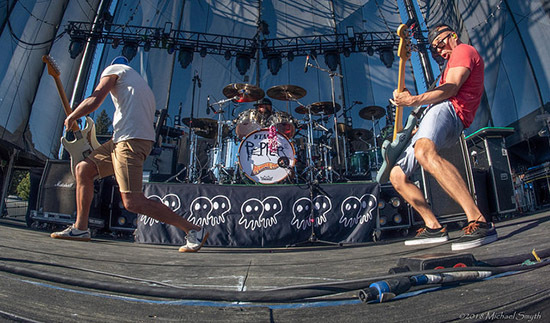 Pepper, too, comes from that same era in time and music, moving from Hawaii to San Diego in the middle of the ’90s and finding success on Vans Warped Tour and playing with bands such as 311, Burning Spear and Pennywise. Stick Figure started in the late 2000s, from the first generation of bands whose members would have grew up listening to groups such as Pepper and Slightly Stoopid. 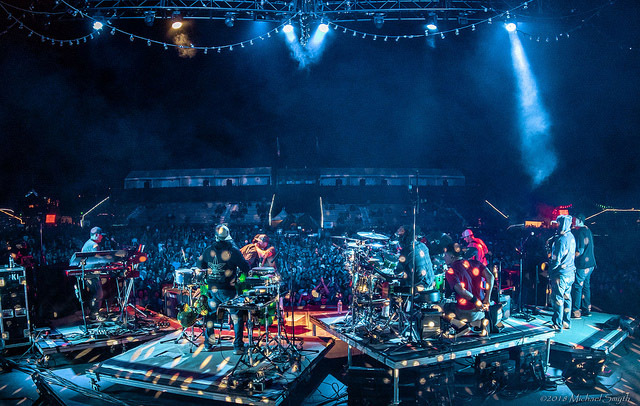 The band’s music is rooted in more dub-heavy reggae and it came up with others in the genre, including Rebelution, Passafire and Tribal Seeds. Pepper took the stage first, to the great adoration of the sold-out crowd. As the trio kicked into its set, beers and joints were raised in praise and the mass of people joined right in with the band’s energy. Kaleo Wassman (guitar), Bret Bollinger (bass) and Yesod Williams (drums) ripped through a 45-minute set of heat-seeking reggae-rock that touched on all the highs from favorite albums “Kona Town,” “In With The Old” and “No Shame.” Bollinger and Wassman played with hyped-up fervor and couldn’t control their smiles as they got the sea of hands to bounce and pump to their music on command. It was going to be a long night of music and Pepper made sure to inject the crowd with scrappy, fun-loving energy from the get-go. Stick Figure took the stage next, appropriately placed to help take the party to new heights. Where Pepper fired up the crowd with its energy, Stick Figure was like a blast of ice water that satisfied the crowd with its tidal rhythms and liquefied vibes. 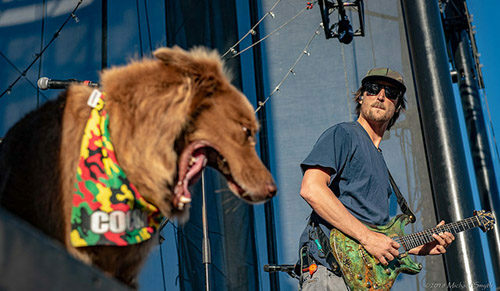 It was one communal full-body bob between the band and the crowd — along with roving chocolate-brown Australian Shepherd Cocoa — as Stick Figure flowed on an ever-present aqueous groove through its set. The deep dub tone of the vocals and instruments cascading on top of each other gave lots of texture and character to the songs, achieving a dreamy depth in them that is usually reserved for deep-groove mariners such as Thievery Corporation and Zero 7. 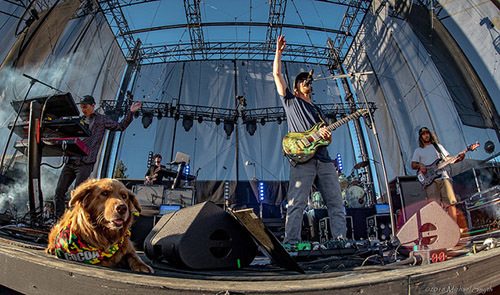 In what would be the first of many cases of friends appearing onstage for the rest of the night, Stick Figure brought out members of Slightly Stoopid to help in the two bands’ shared track “The Choice Is Yours,” the bassline rippling out over the arena as the crowd roared. They then brought out all the players from Slightly Stoopid and Pepper to join in on fan favorite “Smokin’ Love,” everyone getting in on the party. Thankfully, the night was not even close to being over. 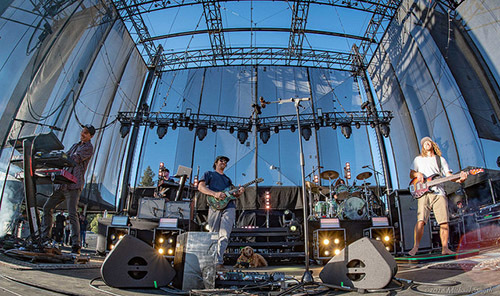 Slightly Stoopid was the night’s emerald crown jewel and the headlining set proved why it reigns supreme as one of California’s quintessential party bands. 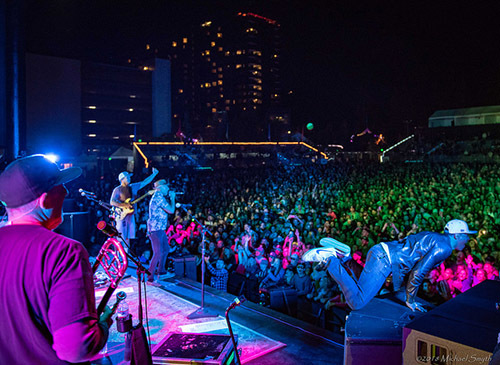 The band has become a musical staple and its concerts along the shores of Lake Tahoe are one of the highlights of the summer, a signature event that people set their yearly calendars around — and a tradition and rite of passage for some of the more devout followers. That rich love and appreciation for the band was palpable in the warm, enthusiastic roar that emanated from every corner of the packed arena as the band took the stage. 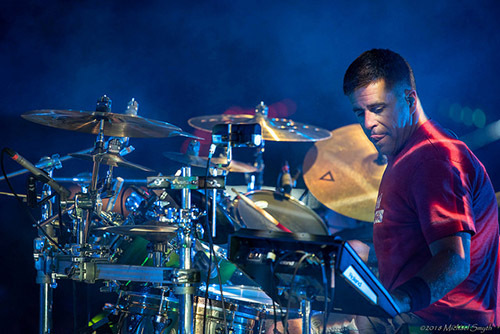 With a full lineup that included horns and percussion to beef-up and accentuate its rock, ska, reggae roots on record, Slightly Stoopid sliced through its catalog with muscular dexterity. 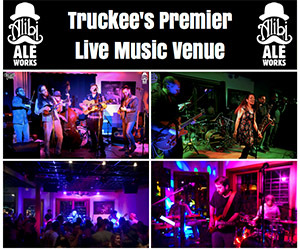 The musicians ripped through classic albums such as “Everything You Need” and “Closer To The Sun,” while also touching on favorites from the most recent release “Meanwhile … Back At The Lab.” Half the crowd was singing along to every song, the other half was taking a puff or a sip and waiting to join back in with the singalong. 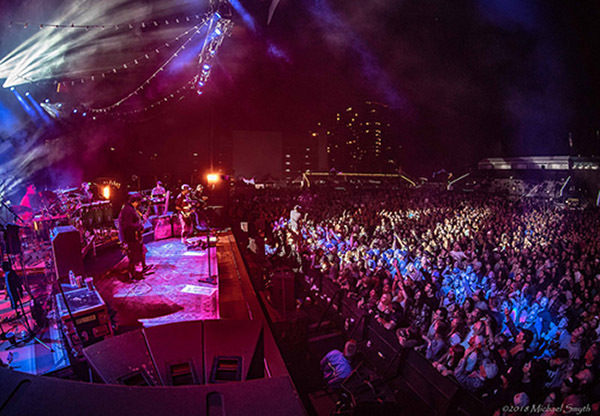 It was an infectious feeling of joy that ran between the band and its fans. At that moment you realized everyone in that arena was having an amazing time. 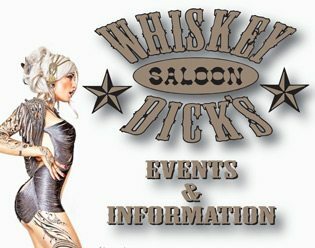 People in the audience were seeing their favorite bands with all their friends and family, imbibed in the night’s sounds and colors. 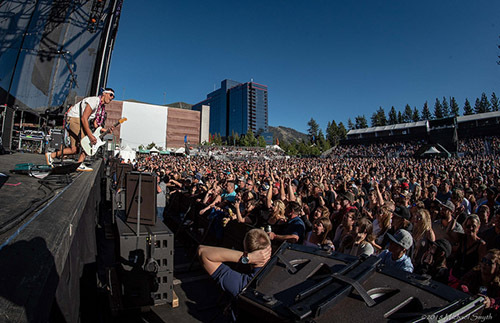 The band members were living a dream that had started in garages and basements decades earlier, now manifesting itself onstage with brothers in arms on their own paths to success, in front of thousands of adoring fans along the shores of Lake Tahoe. It was quite a special moment and the perfect point to start the summer.